A protest at Westminster, for once, not about Brexit. a much bigger issue at stake, organisers say, the survival of the planet. In London some made their mark with graffiti. In Brussels, they also blocked the streets, in scenes played out in several cities around the world. 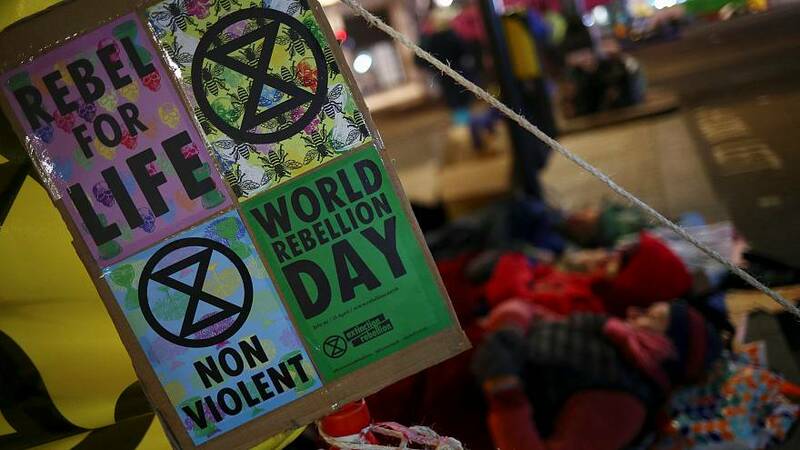 Extinction Rebellian say drastic measures are needed now. .
"The first difference is perhaps is we take action, Extinction Rebellion is a movement that was formed on the realisation that the old kinds of protest, the old standard practices have been in place for thirty years or so didn't really win, and it was 30 years of defeat. And so it needed kinds of action, a more militant approach, including civil disobedience," one of the activists told our reporter. The group is calling on politicians to recognize the situation as a climate and ecological emergency, implement a more ambitious remedy and create a citizens' assembly to enforce measures. Their protest a wake-up call to end the nightmare. EU countries have given the final clearance to start formal trade talks with the United States after months of delay due to French resistance. Negotiations are now set to start on two tracks -- one to cut tariffs on industrial goods, the other to make it easier for companies to show products meet EU or U.S. standards. The controversial EU copyright reform has passed the final hurdle. It brings to an end fierce political battles over Article 13, which forces tech companies to take down content if it infringes copyright. Critics argued it would lead to internet censorship. EU countries now have two years to make the rules part of their national laws. High-ranking former European politicians have urged the EU to reject any US Middle East peace plan unless it is fair to Palestinians. Instead, Europe should promote a two-state solution, the former leaders wrote in an open letter. They criticize the Trump administration for siding only with Israel. Trump's Mideast peace plan is expected to be revealed soon.